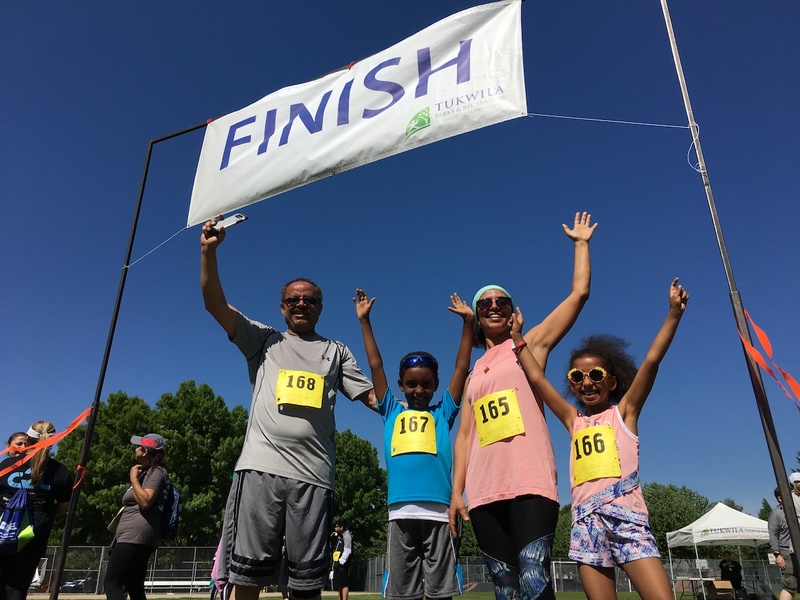 Dozens of participants in Global to Local community health programs gathered under a bright blue sky last weekend for the annual River Run 5K. 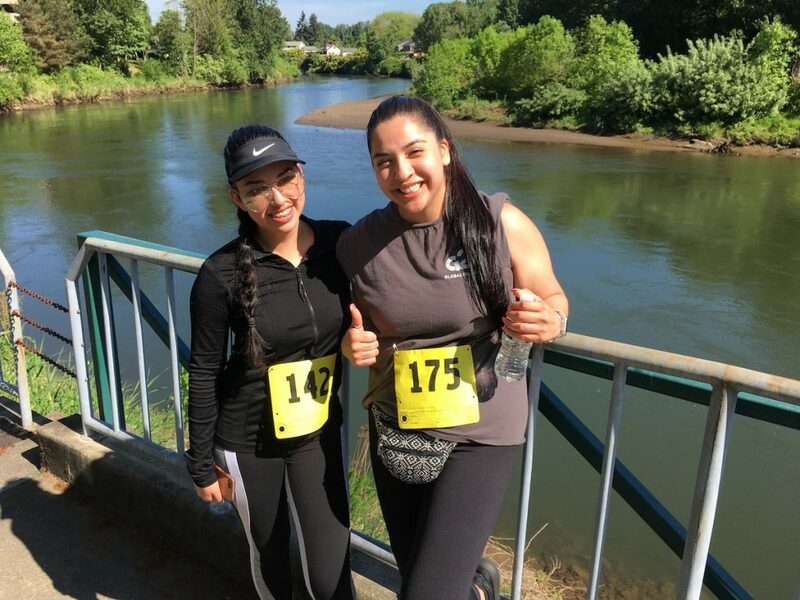 Fitness enthusiasts, ranging in age from young children to grandparents, converged on the beautiful course, which followed the Duwamish River south of Tukwila Community Center. G2L fitness program participants have been running and walking in the race since 2014; it’s become a beloved tradition. The crowd reflected the diversity of South King County, with Somali and Latino communities particularly well represented thanks to recruitment by CHWs. “By participating in the walk/run each year, we’re integrating our communities into public activities and making them visible. The CHW team brings awareness and makes the process of participating in these activities easier for our communities, thus removing barriers,” said CHW Program Manager Aisha Dahir. Check out more photos from the event on our Facebook page. And while you’re there, “Like” our page to keep up with all things Global to Local! 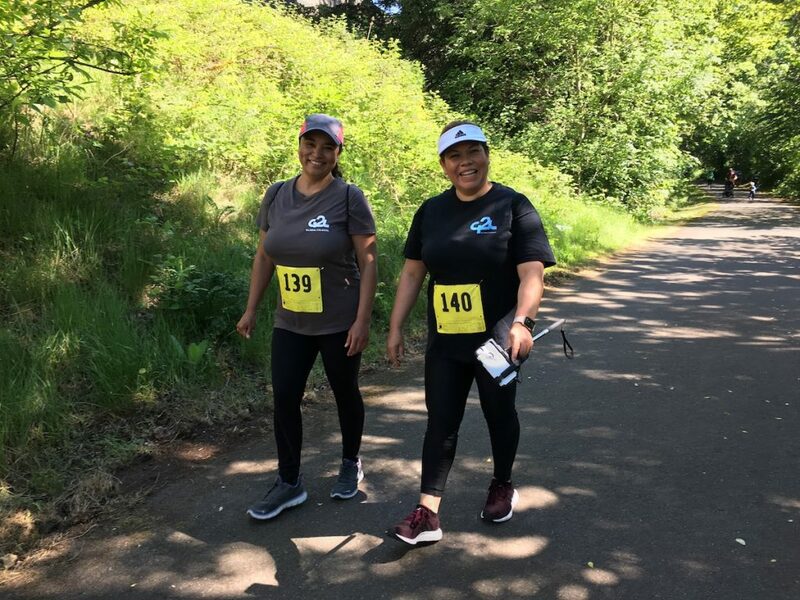 G2L currently employs five CHWs, including Monica and Diana, who support Tukwila and SeaTac residents in improving their health and fitness. Their activities range from organizing exercise and nutrition classes, to addressing barriers that prevent residents from visiting their primary care doctors. Our CHW program is inspired by the many global health programs that train trusted community members as health workers who operate outside of clinics to provide education, referrals, and social support for health behaviors. The initiative is one of four programs for improving community health that G2L has developed with the goal of helping communities around the country adapt the programs to serve their needs. 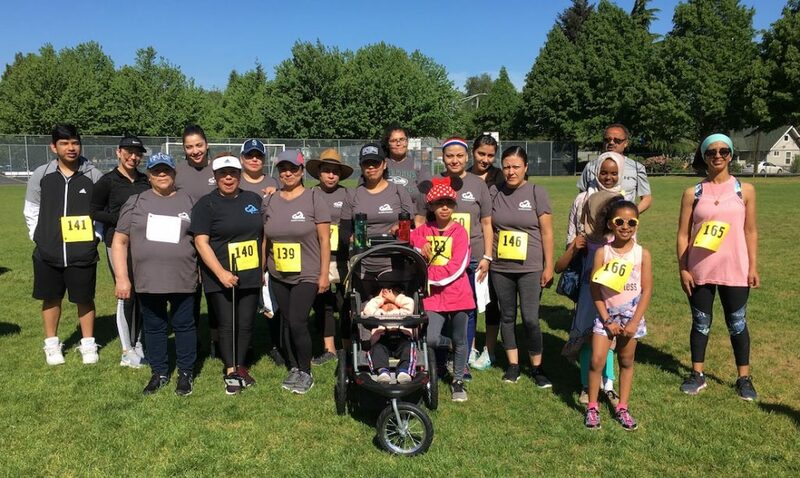 Big thanks to our friends at Tukwila Parks and Recreation, who organize the race each year and have long been fantastic partners in supporting the health and fitness of our community. 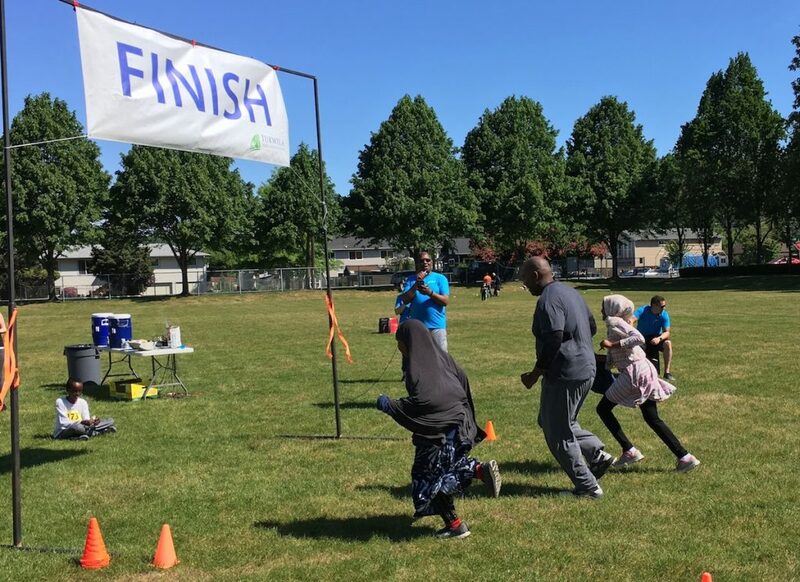 Watch our video to learn about another of our collaborations, a fitness program at Tukwila Community Center that creates a culturally appropriate space for Somali women to improve their health.